Amazing 1 story 1 bedroom unit on 3rd floor in guard gated community w/ amazing views of the Las Vegas Strip & Mountains. Upgrades incl granite cntrtps & custom cabinets. Strip view from balcony & master bedroom. Spacious master bedroom has walk-in closet. All furniture, appliances, plates, utensils, cups, etc all stay. Community has 2 pools & 1 spa. 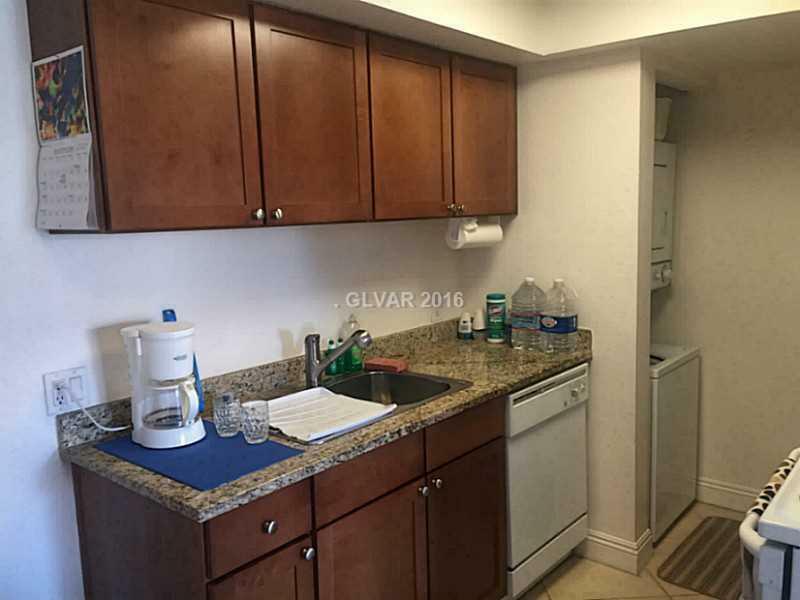 Close to shopping, freeway, strip, bus. Buyer to verify all.